Sebastian Turner is the publisher of Tagesspiegel, the German capital newspaper. A political scientist by education, German entrepreneur, and former president of the German Art Directors Club, is among the initiators of the Berlin School and the Falling Walls Conference. The co-founder of Scholz & Friends, Berlin, was running for Lord Mayor of his hometown Stuttgart, Germany. Since the '80s Sebastian Turner has been active in founding companies and initiatives. In 1985 he founded the trade journal “Medium”, one of the leading magazines for journalists in Germany. After the fall of the Iron Curtain, he established the first independent advertising agency in former East Germany and merged it into the international marketing communication group Scholz & Friends. While there he served as CEO and supervisory board member for over a decade, developing Scholz & Friends into the largest independent agency group in Europe and becoming the youngest member of the "Hall of Fame" of the German Association of Communication Companies. Over the past two decades, Turner contributed to the establishment of a number of new companies in several industries and markets. At the Berlin University for the Arts, Turner serves as honorary professor. He is involved in non-profit causes, among them the Max-Planck-Foundation for the advancement of excellence in science, the science for children project "Haus der kleinen Forscher", the Berlin School of Creative Leadership and the Art Directors Club. In 2009 Turner initiated the Falling Walls Conference , which gathers world class scientists on the anniversary of the fall of the Berlin Wall to ask the question: Which are the next walls to fall? 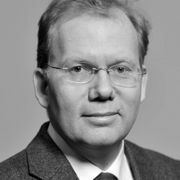 Sebastian Turner serves on the supervisory board of Dieter von Holtzbrinck's media group, DvH-Medien Stuttgart (Handelsblatt, Die Zeit, Tagesspiegel) and became shareholder and publisher of the Tagesspiegel since 2014 .